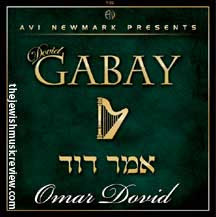 In just a few weeks, Dovid Gabay is due to release his follow-up album to his highly acclaimed debut album entitled "LeGabay". Since the release of his first album, Dovid has become one of Jewish music's most requested singers at Weddings, Concerts, and other major events. "This album has it all!!" says producer Avi Newmark. As we've done in the past, we've given the album a mix of songs that satisfy the pallet of all Jewish music fans. "Hagomel" a Disco composed by Yossi Green has already received tremendous acceptance with the few days of radio play. The title track,"Omar Dovid", composed by rising Composer Elimelech Blumstein is sure to satisfy the all time Jewish music fan. "This song is very special," says Gabay. To those who have had a taste of the album it is already being called "The modern day Tanya". It's not everyday a song like this hits the market. Returning on album number 2 is Rabbi Avi Kula lending his beautiful ballad "Rachem", which has the heartz that is required in a Jewish music hit. Yitzy Waldner also joins the project composing "Zaroh" and the music for the english song "The Letter". The letter has a beautiful message. It is a letter between 2 friends who have grown apart due to the progression of life and the request between them to Daven for each other. This concept is imperative in Jewish life and we all must understand how, if klal yisroel not only davens for themselves, but for the betterment of life for eachother, our tefilos will reach the highest levels of shamayim, and the answers to our tefilos will be revealed. "As each song needed a very special flavor, we engaged only the elite in Jewish music arrangers today" says Newmark. Joining the crew are Leib Yaakov Rigler, Yisroel Lamm, Avremi Gourarie, Ian Freitor, Yonatan Razel, and Danny Flam. "Each arranger really went above and beyond" says Gabay. Enjoy the clip, and b'ezrat Hashem the final product will be on the shelves within the coming weeks. 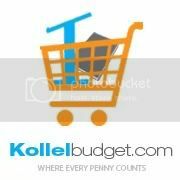 Omar Dovid will be distributed by Sameach Music around the US and Europe and Ranenu Music in Israel.